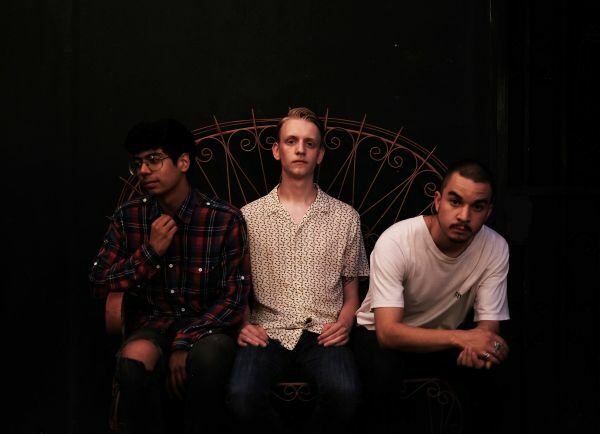 El Paso-based indie rock trio Sleepspent is a band that manages to simultaneously deliver an intimate and lively presence, creating emotional imagery through both their lyrics and their melodic and atmospheric sound. 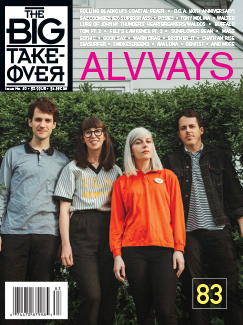 The outfit’s founder Austin North floats his voice atop his reverb-drenched guitar riffs, and often soars through bold melodies that reveal the band’s indie rock and shoegaze influence. While North is the heart of Sleepspent, his music project is a full-fledged three-piece in the live setting. Debut EP It’s Better If You Don’t Speak Or Think was released on May 4th of last year and had its premiere right here at The Big Takeover. The band released two singles from that record, “Something” and “Come Smile With Me”. This past November 8th, they released the standalone single “California” and its moody, nocturnal accompanying video. That number was produced by Chris Common (Chelsea Wolfe, Le Butcherettes, Minus The Bear). Sleepspent now return with atmospheric and dynamic indie rocker “Noise”, North’s most personal song to date, and The Big Takeover is proud to host its premiere. The restless, fuzzed-out track marches forward with an emphatic drum beat and is propelled by bass line surges and dreamy to fiery guitar lines. A subdued North quietly intones his lyrics on the verses, but then bursts into a rich and yearning keen on the chorus, arching into an airy falsetto amid his passionate exclamations.